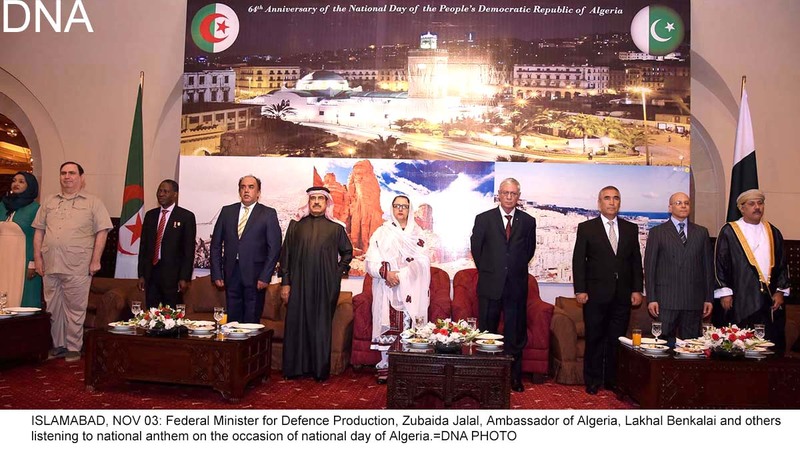 ISLAMABAD, NOV 03 (DNA) – The Ambassador of Algeria Lakhal Benkalai hosted a reception to celebrate national day of Algeria.A large number of diplomats from various countries as well members of civil society attended the reception. 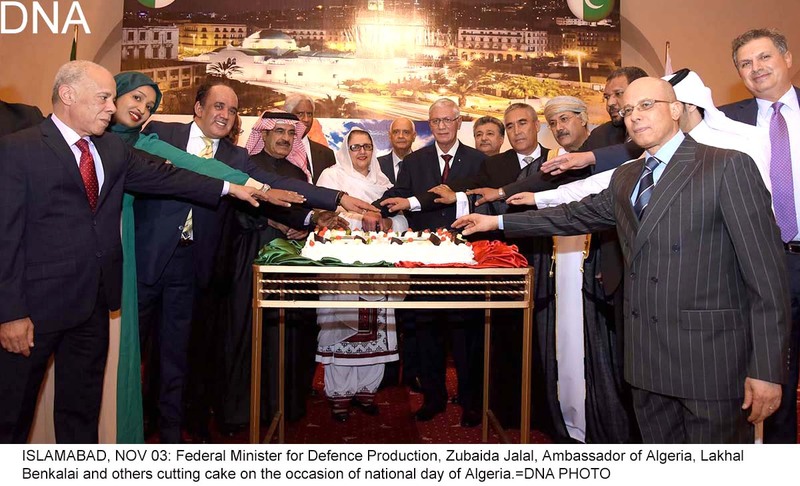 Federal Minister for Defence Production Zobaida Jalal was the chief guest while Mayor of Islamabad Sheikh Anser Aziz was also among the guests of honour. The reception venue was beautifully decorated and various stalls were set up showcasing different aspects of Algeria life style and culture. Due to dharna, it was expected that only a small number of people would turn up however the attendance was much higher than expectations. Dharna ostensibly was the topic of hot discussion and especially diplomats were curious to know more about dharna. They heaved a sigh of relief when came the news that an agreement had been reached between the government and the dharna people.